Fridays just got even BETTER! 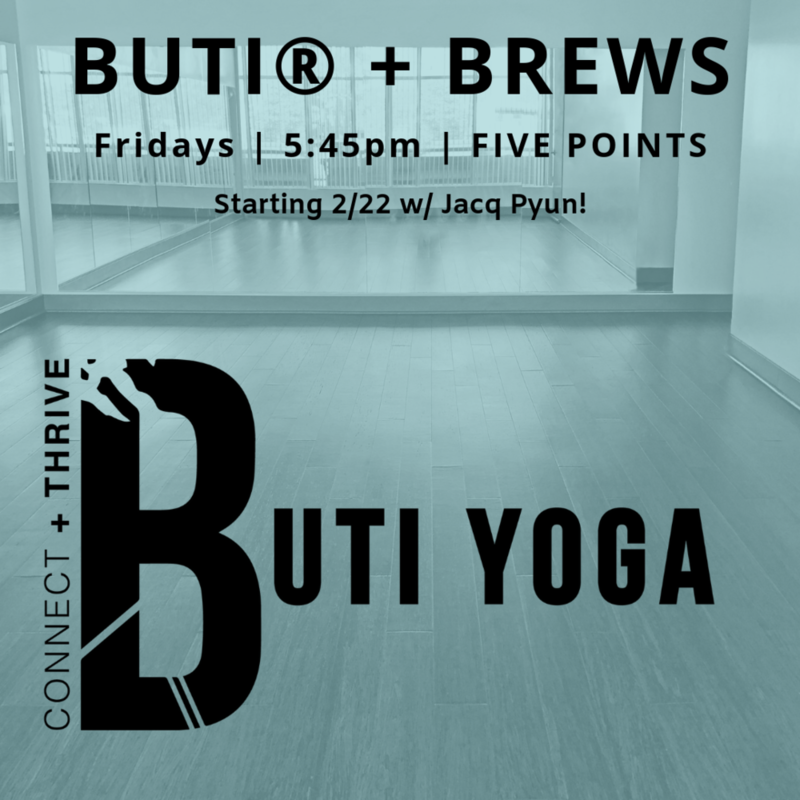 Starting 2/22, join us for a 60 minute BUTI® yoga class and then have a drink with your new buti tribe with 2 for 1 drafts at Spangalang Brewery next door! BUTI® is a movement practice that fuses power yoga, tribal dance and plyometrics into a high-intensity workout that transforms the body from the inside out. Buti is an Indian Marathi word meaning "a cure that has been hidden or kept secret." It incorporates power vinyasa flow, hip shaking, jumping or hopping exercises using the core to increase muscular power and explosiveness and reduce the force of impact on the joints with tribal dance moves. Get ready to empower your workout, release endorphins, smile, sweat with intention, awaken your chakra energy, and transform your core from the inside out! Cacoa Ceremony: Spring Equinox Celebration!